A coffee table fulfills many functions. It can emphasize or even spice up the style in the living room. Actually, it should not be so difficult these days to find the right model, after all, the choice is greater than ever. But as so often, the decision is made more difficult than relieved by the enormous diversity. Which Material Or Which Color? If you already have a precise idea of ​​the size and shape, the preselection is certainly a lot easier. Now it is only a question of which material fits best with the rest of the room. Glass is considered timeless. Whether on a wooden or metal frame, glass coffee tables are easier and space-saving, especially in small rooms, as they do not hide the view of the floor too much. Disadvantage: Fingerprints and dust are visible more quickly on the clear surface. High-gloss finishes or marble surfaces look modern and noble, but depending on the type of furniture, they can quickly feel cold and are more susceptible to scratches. Anyone who has children should therefore resort to a material that is robust and, if necessary, can also be repaired or refurbished. This possibility offers solid wood. Here small mishaps such as scratches or water edges can be eliminated with little effort. 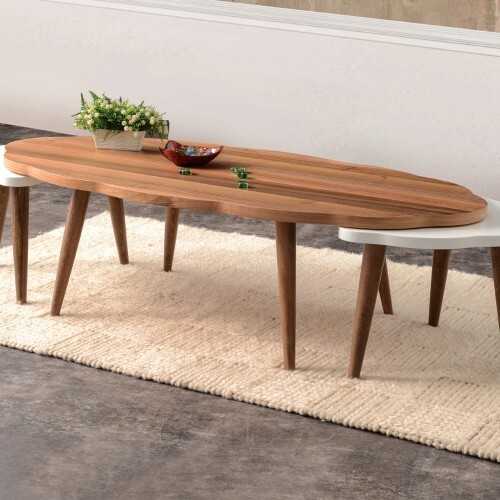 Wooden coffee tables always give heat to a room and are available in almost all styles. Which Form Harmonises Best With The Environment? The shape of the coffee table usually depends on the surrounding seating area. Square or rectangular coffee tables fit perfectly in a residential landscape. They can be reached all around from all seating position. However, you should also pay attention to leg and freedom of movement. Those who like it more flexible and somewhat relaxed choose so-called nesting tables. These can, as needed, space-saving superimposed or pushed apart. Round coffee tables often make a seating group appear softer and thus perfectly match more clean sofa shapes. 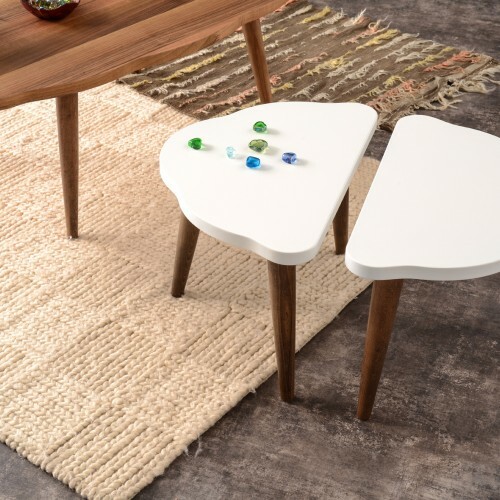 Since they have no sharp edges or sharp corners, round tables are particularly popular with families with small children because they do not pose a potential risk of injury. You do not want the coffee table to be the optical center of the room? Choose a table with a glass top. It’s great to combine with other furniture without attracting all the attention. Glass plates are also ideal if you want to put your carpet in scene. Coffee tables can have very different sizes. You prefer a table that is lower than your sofa? Good choice! Because lower coffee tables can visually highlight other pieces of furniture. Important: The table should not only fulfill its aesthetic purpose. Therefore, do not choose it too small.